James Sullivan has been chatting with Australian sprinter Mitchell Williams-Swain, winner of the 2011 Stawell Gift, the richest event on the athletics calendar in Australia. Mitchell Williams-Swain is an elite sprinter from Queensland, Australia. 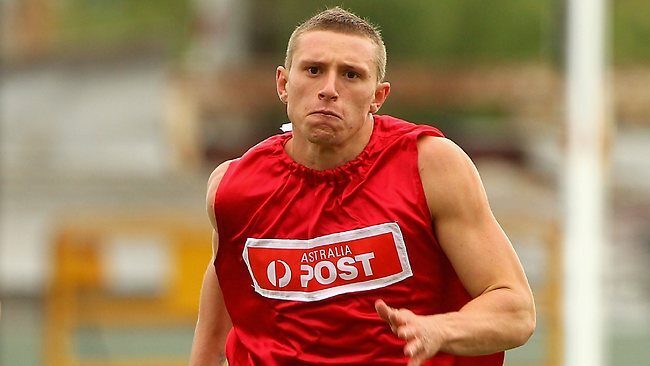 He is most known for his exploits on the Australian professional running circuit and his most notable achievement is winning the prestigious Stawell Gift in 2011. In 2013 he narrowly missed out on regaining his title, finishing a close second. His current PBs are 10.25 for 100m and 20.93 for 200m. Mitchell: Growing up I was involved in surfing and life-saving. About two years ago I made the transition to track and I have now fallen in love with it because of the individual element. You have no team to rely on. It’s all up to you and what you do. Mitchell: Growing up my two idols were Tyson Gay and Asafa Powell. Not the best choices in hindsight! James: What do you believe to be your greatest strength and weakness with regards athletics? Mitchell: My greatest strengths are my explosive power and ability to perform under pressure. I would say my weaknesses with regards to athletics are my drive phase and not having that many years under my belt with track. James: Over the last few years you have had great success on the Australian professional running circuit. For those not in the know, can you give a brief explanation on how pro running in general, and the Stawell Gift in particular, works? Mitchell: Pro running involves races in which athletes are handicapped to the runners PBs and potential. The fastest in the field starts from the back, and every other runner in the race gets varying head starts measured in metres. 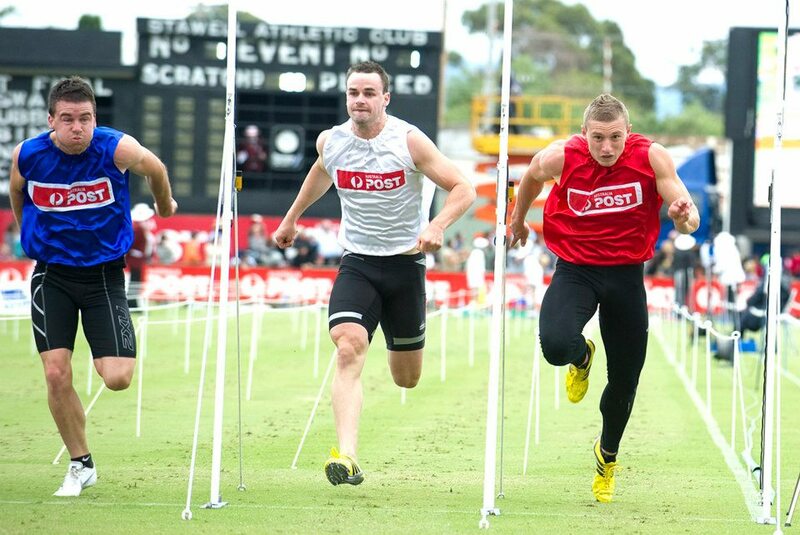 The races take place on grass and the Stawell Gift is the most prestigious of all pro running events, over a distance of 120m, with $40,000 at stake for the winner. James: It’s well known that gaining a good handicap is an integral part of succeeding in the Stawell Gift. What way do you approach the circuit to ensure you receive the most advantageous handicap possible for the Gift? Mitchell: In 2011 I did not worry about my handicap at all. I knew I had to be in good shape coming into the race so I was not worried what mark I got. You have got to be in sub 12.00 shape to win. In 2013 I had to plan my training out a little more. James: In 2011 you claimed victory in the Stawell Gift. Can you put that experience into words? Mitchell: 2011 was one of the best experiences of my life. I had some of the biggest highs and lows that year. James: At the 2013 Stawell Gift you were the overwhelming favourite for victory, before being penalised one metre in the final due to a false start, which ultimately denied you a second triumph. How would you describe that experience? Mitchell: It still haunts me to this day but the experience has made me hungrier to be faster next year and to achieve bigger and better things. James: The Stawell Gift is an event which prides itself on history and tradition. To this day false starts are judged by the naked eye. Should the event move forward and make use of the technology available in Athletics Australia track meets? Mitchell: Stawell Gift is my favourite event in the sport but yes I feel it would be good to have sufficient technology available. There is normally a lot of money at stake and I lost out on a significant amount this year. James: In addition to your exploits in the pro running circuit, you are also very prominent on the Athletics Australia track scene. What moments from your career to date are you most proud of? Mitchell: The moments that I am most proud of would be my 10.25 at the IAAF Melbourne World Challenge meet and knowing that my best years are still ahead of me. James: What are your goals for the remainder of 2013? Mitchell: For the remainder of 2013 I will go back into base and next year come out faster and stronger. James: For a 100/200 runner what do you believe to be the key speed endurance sessions? What are the longest reps that you incorporate into your training? Mitchell: The longest speed endurance rep I do in training is a 300m and a muck around 400m here and there. James: In what way does training for track events and pro running differ? How much time do you spend training on grass? Mitchell: Grass and track are a bit different. The grass does not give you that spring which the track provides. Most of my base work is on grass and for the two weeks leading into a big pro race I train on the grass in preparation. Mitchell: I believe that diet is massive for recovery and keeping lean coming up to a big event. My typical diet leading up to a race would be lots of regular meals incorporating meat and vegetables, keeping my body fat low and having lots of carbs around training for recovery and fueling. James: Australia has one of the highest obesity rates in the world. What needs to be done to combat this issue and how should sport, fitness and exercise be marketed towards the average person? Mitchell: People need to be more educated on what foods are good and bad and not be scared of change. Lots of people are restricted by the thought of change such as with their diet, their exercise program, the way they think etc. James: Athletics remains a minority sport in Australia with low spectator attendances and almost non-existent TV coverage. What needs to be done to raise the profile of the sport? How can track and field and pro running work together towards achieving this? Mitchell: I think there is a lot that could be done to improve the attendances and TV coverage of the sport. Getting kids involved in muck around races with some of their stars like Sally Pearson and Josh Ross would help. Also bringing in alcohol and gambling, like in every other big code such as AFL and NRL, would attract some big sponsors and help out our athletes that struggle for money and it would make the sport very entertaining. Finally, let our athletes show off their sponsors when they are racing. These are just my own personal views and not everyone will agree but there is a lot to be done within athletics here. Mitchell: My view with regards doping is that everyone should be clean. It’s definitely frustrating when your idols have been caught taking drugs. James: That’s great Mitchell. Thank you for your time and the very best of luck for the rest of 2013 and beyond.